Duluth was deluged with record rainfall last June — more than seven inches in two days — that caused massive flooding and sent cascades of debris, contaminants, sediment and raw sewage into Lake Superior. The flow of sewage into the lake would have been worse if it weren’t for three decades of expensive and labor-intensive efforts to repair and overhaul the sewer systems of Duluth and neighboring Superior, Wis.
Now such crucial sewer system improvements across the Great Lakes are at risk because of the federal budget crisis. It’s happening right when climate change is expected to mean more of such heavy rains. 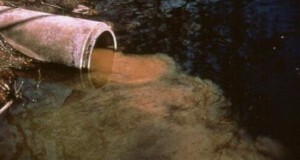 In older cities and towns across the Great Lakes, untreated sewage is regularly released into rivers and lakes when pipes that handle both sewage and storm water are overwhelmed by rain. 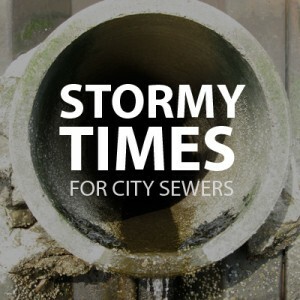 Duluth reduced such combined sewer overflows — known as CSOs – by 91 percent by separating sanitary and storm sewer pipes and building catchment basins. The most important funding source for improving sewers and preventing overflows is a federal program that provides low-interest loans. Over the past three years this Clean Water State Revolving Loan Fund — the SRF – facilitated $1.8 billion worth of CSO-related projects across the Great Lakes region. If Congress fails to avoid budgetary sequestration scheduled in January, the SRF is in line for the 8.2 percent across-the-board budget cuts mandated by 2011 negotiations over the national debt. That means a loss of $44 million in sewer improvement funds to Great Lakes states from 2012 levels – a drop from $533 million to $489 million. What’s more, the federal budget commitments also cap discretionary spending through 2021, which would likely mean additional cuts to Great Lakes programs. That includes the sewer loan program and the Great Lakes Restoration Initiative, which funds some green infrastructure projects that help reduce sewer overflows. Even if Congress strikes a deal to avoid sequestration, significant — perhaps even greater — cuts to the loan fund are likely. Great Lakes advocates say such cuts could be devastating for cities and towns trying to stop CSOs – halting some projects in their tracks, preventing other projects from ever getting started and setting the stage for declining funding levels in future federal budgets. The biggest risk for sewer improvement funds is that people start viewing them as add-ons instead of essentials, said Joel Brammeier, executive director of the Alliance for the Great Lakes. Slashing funds for sewer improvements will mean greater costs in the future, Brammeier noted. Letting sewers deteriorate makes them more costly to fix later, not to mention the costs of dealing with near-shore contamination and beach closures. The Alliance for the Great Lakes, the National Wildlife Federation and other groups are striving to make sure legislators understand the importance of the sewer loan fund and the Great Lakes Restoration Initiative. In November they released a fact sheet warning about the potential impact of cuts, proving the economic importance of the Great Lakes and citing polls showing a strong majority of Great Lakes residents support funding of Great Lakes restoration and protection, even during a budget crisis. Skelding is afraid that when the U.S. EPA decides how to slash its budget that the loan program will be targeted because of its significant size. Ever since the 1972 Clean Water Act sparked governmental and public attention of water quality, federal funding has been crucial to building modern treatment systems and addressing CSOs across the Great Lakes. Most municipalities, especially smaller ones, lack the capital or ability to launch expensive, long-term infrastructure projects on their own.Sewer overhauls are often the most expensive projects they undertake. An early federal grant program was replaced with the state revolving loan fund, which allows municipalities to finance projects and repay the federal government through sewer rate payments and savings generated by the overhauls. The U.S. EPA in 2002 predicted that without increased funding for water infrastructure, by 2019 there would be a $122 billion gap between funding needed for necessary updates to wastewater and clean water infrastructure and the funding available. CSOs disproportionately affect communities struggling with many other serious financial and structural challenges, Ridgway said. 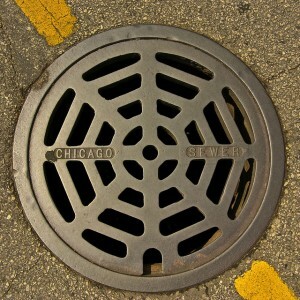 “In these older cities, the sewers began as creeks, were ‘improved’ to prevent urban flooding, were enclosed and incorporated sewage transport directly to larger rivers and lakes and then, very late in the process, sewage treatment was added. Ridgway has seen firsthand what a dramatic effect federally-funded wastewater programs can have on Great Lakes ecosystems and communities. When he was a child growing up in Detroit, the Rouge River, which runs through the city and surrounding towns, was a stinky eyesore that residents avoided. It emptied industrial pollution, contaminated storm water and raw sewage into Lake Erie via the Detroit River. But thanks to a watershed-wide program carried out with $300 million in federal grants, the Rouge today is much healthier, and by extension so are the near-shore areas of Lake Erie where the river water flows. Over 20 years, the cooperative efforts of state, local and federal agencies and local communities meant that most CSOs were eliminated along 89 of the Rouge’s 127 miles. The project separated previously combined sewers, added CSO treatment facilities and made other improvements to greatly reduce storm water run-off, untreated sanitary sewer releases and CSOs. Rouge River water quality improved remarkably: e. coli levels dropped and dissolved oxygen levels rose, the river and near-shore lake waters became cleaner, fish populations increased and local residents did not have to worry about as many beach closures or the risk of getting sick from taking a swim in Lake Erie. “Most folks believe that the government has a role in removing sewage from our waterways,” said Ridgway, who helped oversee the Rouge improvements as executive director of the Alliance of Rouge Communities. “We believe that means funding regulation, monitoring, and yes, construction of controlling works. Lame duck Michigan Republicans get to use RTW legislation to dump more than just sewage in Michigan.